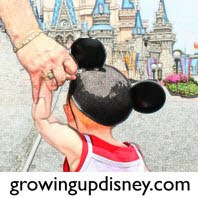 Growing Up Disney: Disneyland Paris Planning with Nine: Part 2, When To Go? Disneyland Paris Planning with Nine: Part 2, When To Go? One of the very first things anyone has to consider when they're planning a holiday, after choosing the destination, is when to go. At the moment I am looking at two possibilities for our trip to Disneyland Paris (DLP) next year. Firstly, do we tack the trip to see The Mouse on to our usual jaunt to France? Or, do we take a completely separate short trip as well as the annual one? There are of course pros and cons to both of these possibilities. If we just make it part of the yearly excursion over The Channel, do we do it at the start of the holiday, or the end? Paris is a good 4 hour drive from our family farmhouse in Doussac, so it will not be in the middle. So do we travel straight to Paris and DLP and the go on to the family home for a break? Or do we want to save DLP until the end for something to look forward to, knowing we have a much shorter journey home to the UK at the end? If this is the case, I imagine we'll be looking at going in July again. But we will most definitely want to avoid the school holidays, in the hope that the wait times in the parks aren't too horrendous. This could prove difficult as as it stands, the UK schools break up on 24th July 2012 but the French schools are out on the 5th July. We tend to go over around the 10th of July (so we can be there for the 14th, Fete Nationale) but we may need to re-address this and go earlier. But what about a completely separate trip? This way it wouldn't affect the dates we want to spend with the family in France and the summer holidays won't be an issue. But then the question again arises, when? As we will be going with my in-laws, there are two other times of the year when they like to travel, April and October. Our wedding anniversary is in October and we like to have a long weekend somewhere if we can. So, October next year is a maybe. And, if we go in October, you know what that means! We would HAVE to do Disney's Halloween Festival wouldn't we! The Park is decorated throughout the whole of October with spooky events and happenings, but Mickey's Not So Scary Halloween Party itself is only on 4 specific dates. We would have to see how much more expensive it was to go to this or whether just the Halloween atmosphere alone would suffice. What about the weather? This is another factor to consider when planning a date for this trip. When we were in France this year, some days were in the 30's, as hot as WDW! Other days, it was cooler and POURED with rain. This can make a Florida trip seem dreary, but a cold, wet day in Europe is far worse than an Orlando shower. It'll be even colder with more chance of rain later in the year. My aunt travelled over to DLP with my 3 year old cousin last September for a day trip. It rained so hard and was so cold, they shut half the park. She didn't even get to meet Mickey, as it was one of the only indoor attractions and the queue was over 3 hours, they just didn't have time. The Park opening times are not really a major issue at this time. Whether the parks stay open until 7pm or midnight will not affect us this time as Tink will only be 2.5 years old and will be wanting her bed around 7ish. She is not a child who naps in her pushchair and is not happy when over tired. However, they don't tend to open until 10am to the general public, with 8-10am being Extra Magic Hours for guests. Tink is an early riser, so this is definitely something to think about. However, you'll have to check back for a future post on where we are going to stay, with the usual on-site verses off debate. So, what will we do? Alas, the decision is not just down to me, the in-laws tend to finance a great deal of the holiday, and how much it all costs will probably be the deciding factor. Keep following my planning series to find out if I'm any closer to a definite date, and the next things to consider.